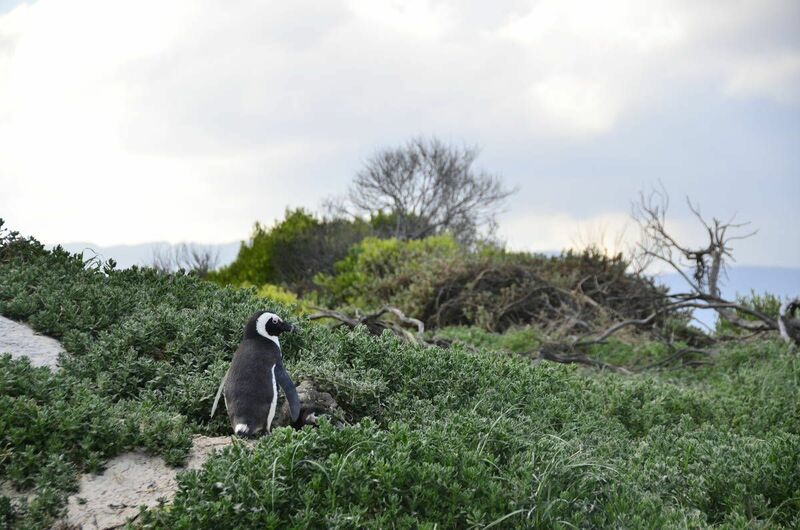 We made a trip to see the penguins at Boulders Beach last year but were scared off by the howling wind and rain. This time round conditions were more favourable and we were able to watch the fat little birds in all their tuxedo-clad glory. They don't really do much except waddle around although one did nibble my foot at one point which Christa found quite entertaining. 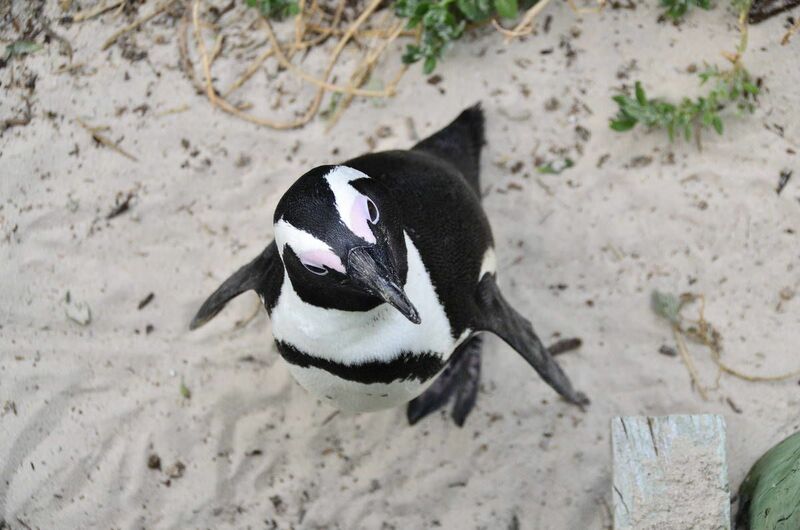 It's said that in the height of summer it can be fun to picnic one beach south and swim with the penguins. The real highlight of the excursion however, came as we got back to the parking lot when I spotted through the corner of my eye a tall, lanky, hairy man clad in nondescript clothing, wearing both a baseball cap and sunglasses. Trailing behind him was a petite redhead languidly perusing the carved penguins and assorted curios. Behind her two cute, well-dressed kiddies vehemently demanded ice-cream from the hole-in-the-wall vendor despite it clearly being hot chocolate weather. I circled the mysterious character and the side profile I was rewarded with told no lies; we had a clear case of Sasha Baron Cohen on our hands. We tailed them down the beach a little, shadily contemplating introducing ourselves with a "BOOYA" or ice-cream request but eventually - after a few disdainful glances - decided to leave them in peace.